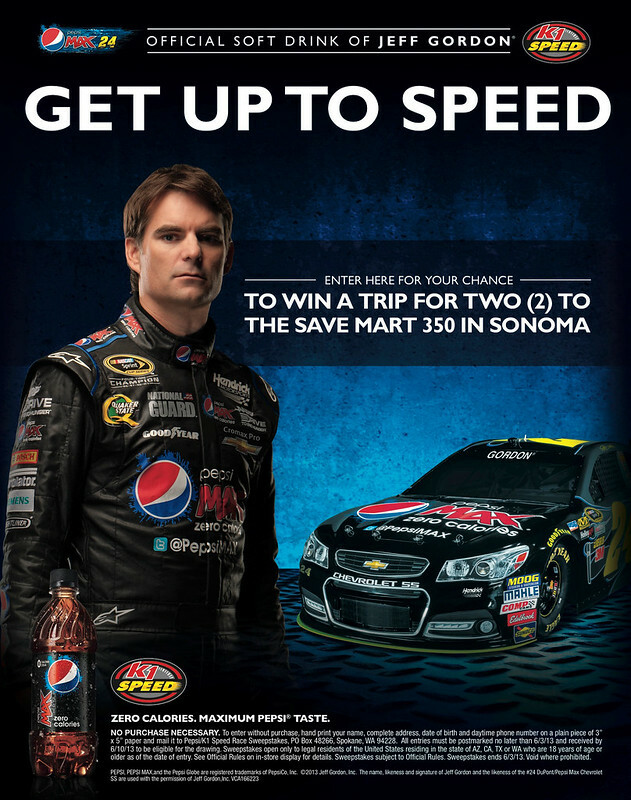 GET UP TO SPEED – K1 SPEED // PEPSI SWEEPSTAKES! Visit the following K1 Speed centers for your chance to win a trip for two (2) to the SAVE MART 350 in Sonoma! Mail in the form to Pepsi/K1 Speed Race Sweepstakes, PO Box 48266, Spokane, WA 94228. All entries must be postmarked no later than 6/3/13 and received by 6/10/13 to be eligible for the drawing. Sweepstakes ends 6/3/13.